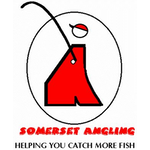 I was talking to Harry recently and happened to mention it would be nice to fish the pond again and with a free date this Sunday and Harry actually having the day off, a match was arranged and as always we would all make a donation to a charity of his choosing. With only limited places available, these were offered to the regulars and it filled up in no time. I was really looking forward to it but then it got really cold and I had visions of us having to break the ice but by midweek, the temperature rose of couple of degrees and hopefully we wouldn’t have to get our Eskimo gear out! 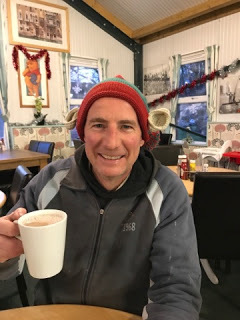 I woke up early Sunday morning and was relieved to see we hadn’t had a frost, I got to Cartgate in good time and most people were already there including our very own ‘Elf on a shelf’. We paid our pools and also stuck £2 each in a kitty for a guess the weight competition for the top silvers and carp weights, I went for 32lb 8oz of carp and 4lb 12oz for silvers, guesses varied a fair bit with somebody saying 100lb for carp which I thought was a tad optimistic and 13lb for silvers. After breakfast it was time for the all important draw and as always, everybody wanted the prolific reed bed pegs (1 and 10). I delved into the bucket and pulled out a ball but didn’t look, as people started writing their numbers down, nobody was admitting to number 1 and I was hoping it was finally going to be my day as I’ve never drawn it. Alas as I opened my fingers, the number six was staring back at me. 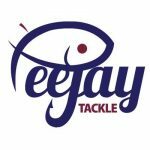 Rob was the lucky angler to draw peg 1 and would be able to check his Wi-Fi password still worked and Hurf was on peg 10. Ilminster’s Elf on a shelf! 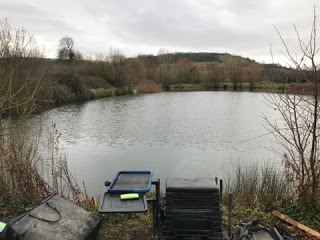 After a short drive we arrived at the pond and Harry said I was on the left up in the corner, an area I draw a lot and to be honest I’ve struggled here a few times. It looked nice with a tree in the water on my right and the end bank to fish to on my left. The wind was keen, cold and blowing straight into the corner which I didn’t think would do me any favours. On the side tray, I had corn, dead red maggots, Bait-Tech 2mm Carp and Coarse pellets that I’d soaked and added some Special G Dark to plus a couple of slices of bread for dobbing. 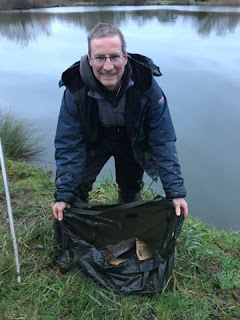 I set up a 0.4 gram Drennan Carp for fishing two lines at 10 metres, one with micros and corn and the other with dead reds plus a 0.3 gram Drennan Margin Crystal for dobbing bread. My neighbours were Bill ‘The Paste King’ on my right and Jake on the left, he had some reeds in his swim and apparently carp could be seen in amongst them so hopefully we’d get a few today. The match got underway and I cupped in a few micros and a few grains of corn at 10 metres angled to my right and some dead reds at the same distance but angled to the left. I started with punched bread on the dobbing rig in the corner at about 10 metres, lifting and dropping by the cover, nothing after 10 minutes so I added another section to search further along the bank and then went to 13 metres but nothing, not a touch. 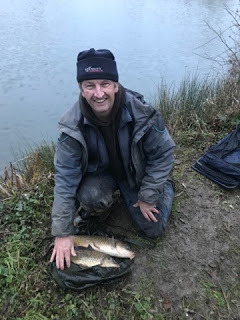 I saw Frank up on peg 3 net a fish on the lead, Karl on peg 2 had one on the pole and Steve P on peg 9 had lost a couple, after three quarters of an hour, I hadn’t had an indication of any kind and I was cold so decided to have a quick walk to warm up. First stop was Bill who’d had a carp on, you’ve guessed it, paste, Stuart on peg 8 hadn’t had a bite, Steve P had one carp but had lost two and Hurf was still waiting for his first bite. 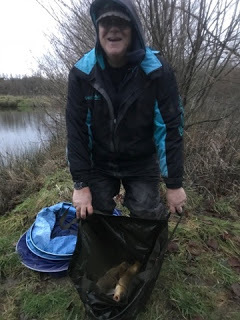 I got to Rob and as I hadn’t seen him catch, I thought he might have sneaked in a fish or two and was quite surprised when he said he’d already had nine carp! As I was with him he lifted and dropped the rig, the float settled and slid away and carp number ten was on, so at least I’d seen a bite! Karl was next with four carp and Frank had two on popped up bread so there were obviously a few fish at that end! As I headed back to my peg, Harry hadn’t caught on peg 4 and Jake was still blanking, I sat back on my box and poured a coffee before having my first bite of the day when I opened my chocolate bar, and very nice it was too! Over the next hour or so I tried corn and double dead red maggots on both of my longer lines but the float never even trembled! Best bite of the day! 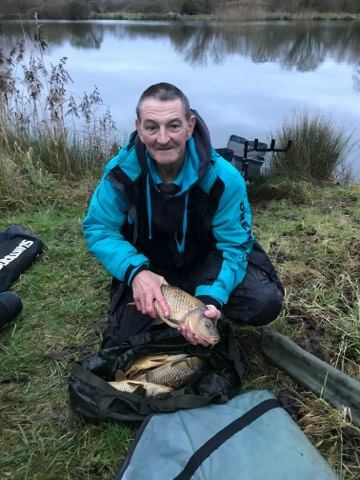 As we approached the halfway mark, I could see Rob was still catching well and Karl and Steve P were getting odd fish but nobody else seemed to be doing much. Both Jake and Harry were still biteless and walking so I went for another wander as well, Bill now had three carp on paste but said bites were very few and far between so it was just a case of sitting and waiting. As far as the silvers were concerned, Bill said Hurf was admitting to one roach so it wouldn’t take a lot to win that pot! I went back determined to catch something, I did contemplate scaling right down but Jake said he’d tried that and it hadn’t done him any good. It also rained on and off and combined with staring my first blank for ages in the face, this wasn’t turning out to be the day I’d hoped for! Harry had another wander to try and keep warm and said he’d had two carp out of the blue on double red maggot but now couldn’t buy a bite again, he also said Jake was still blanking so it wasn’t just me. Then after four hours it happened, there was a slight dip on the float and I thought I was seeing things but then it very slowly sunk from view, the strike resulted in a fair bit of yellow elastic coming out and I’d only gone and hooked a carp! 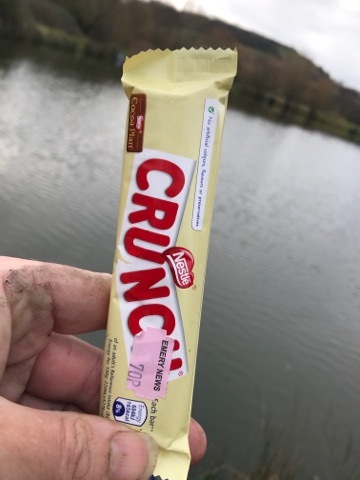 I played it very carefully and slid the net under a 2lb carp, not a big fish but it had saved the blank and there was still an hour and a half left to go. Any thoughts of staging a comeback soon disappeared when I shipped out again and the float just sat there. Another five minutes passed and I was just thinking that was going to be my only action of the day when the float went under again but this time, the strike wasn’t met with solid resistance but with a small rudd flying out of the water, I started to ship back but any visions of winning the silvers pool didn’t last as it came off! The same think happened a few minutes later and had I just fluffed, not one but two chances of winning some money? I put on two dead red maggots and finally opened my silvers account with a small rudd, I added a few more and then with about fifteen minutes to go I had another carp, this one around 3lb and that was it for me. I packed up but any faint hopes of winning the silvers faded away when Harry said Bill had 2lb of rudd. 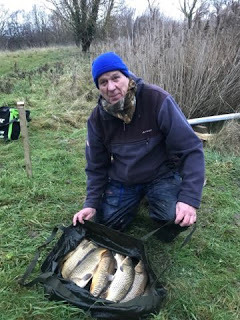 Young Stu hadn’t caught in peg 8 so we started the weigh in with Steve P who had 11lb 7oz but had lost several carp which could be costly on a tough day like today, Hurf had caught four carp in the last twenty minutes for 9lb 14oz but also had 3oz of silvers. Then we got to Rob and after three weighs his total was 42lb which would easily be enough to win today. 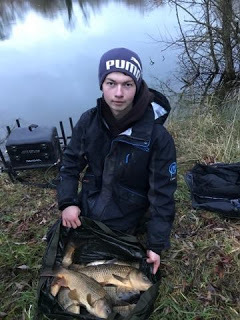 Next up was Karl on peg 2 who had 18lb 7oz to go into second place, Frank had four carp for 9lb 2oz from peg 3, Harry and Jake didn’t weigh and then it was my turn, my two carp weighed 5lb 5oz but then my 5oz of rudd put me in the lead for the silvers but I knew Bill had more than that and he did with 1lb 11oz, I was just thinking that was that but when Bill said he had four carp, if they weighed 10lb he would frame and I’d pick up the silvers pool by default! He plonked them in the weigh sling and the needle pulled round to 11lb 2oz to give him a total of 12lb 13oz and third place. Back at the results, after the top three were paid out, I picked up £20 for winning the silvers and then the winners of the guess the weights were called out, Harry was closest to the carp weight with his guess of 44lb and mine was the lowest silvers guess with 4lb 12oz so we picked up a tenner each but when Harry gave his back for the charity, I did the same which bumped the total up to £70. So a difficult day for most but a nice sum raised and the charity chosen this time around was the Prader-Willi Syndrome Association after a close friend of many in the club, Nick Barrett, lost his son to this cruel condition. 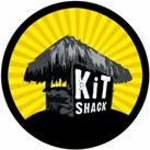 If you would like to donate or find out more please click on the link. A massive thank you to the Hebditch family for letting us fish the pond and also to all the anglers for sticking it out and their generosity. Before I go I would just like to wish everybody who reads the blog a Merry Xmas and thanks to everyone who has taken time to comment, message or say hello on the bank, I really appreciate it. Next: Next post: The Perfect Seatbox?